Todd is also an experienced producer, planner, and programmer. 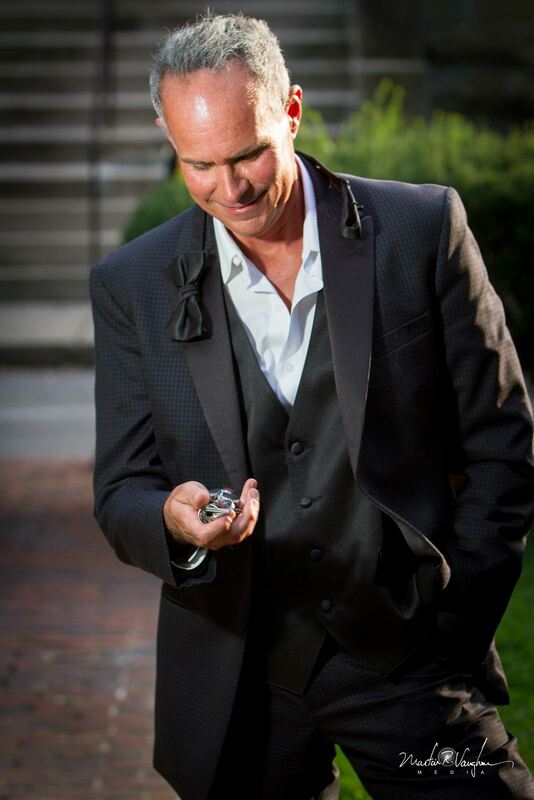 He has participated in hundreds of weddings (locally and destination) fulfilling the role of ordained Officiant, to featured soloist and/or instrumentalist, to consultant in the planning stages, Todd is familiar with the complete process. He has produced large scale events at Rupp Arena, Memorial Coliseum, Whitaker Bank Ballpark, as well as provided logistic and management support for smaller meetings and conferences at upscale restaurants and venues throughout the country. This is your day. From the flower arrangements to the ensemble of dresses and tuxedos – the stars should align in this fairy tale moment. The holiest and most beautiful of moments, the vows, will be etched in your memory for a lifetime. I love being a part of those priceless moments. The MC of an event can change everything. With a ministry background I’ve become very comfortable in my skin when it comes to hosting. It takes experience to know how to keep an event lively and moving. Let’s talk about your latest event and how I might be able to help. I understand that your corporate applications should drive a profitable bottom line. I spent several years crafting the music and production experience at several churches, including Southland in Lexington. I’ve worked with every skill level and age range, and through it all I have enjoyed the simple beauty of making music that connects with others. Let’s talk about your creative project. AWe feel so lucky to have had Todd officiate our wedding in Savannah, GA. Todd has known my husband for many years, but had just met me for the first time a few months prior to our wedding. He took the time to get to know me and ask us both questions to learn more about us as individuals, our relationship, and goals for the marriage. Although he had just gotten to know me, it felt like I had known him my whole life, and that feeling carried through in his message. Todd’s message was personal, special, and touching. It was both extremely sentimental and funny. Several wedding guests still continue to comment on how wonderful his message was. His calm demeanor helped us relax amid the chaos that comes with a wedding day. I truly feel that our wedding was unforgettable because of Todd. He was calm, confident, and professional. AND he was able to take my husband’s sarcastic comments in stride! It was without a doubt a great way for my husband and I to start our lives together! There are major life events or milestones… marriage, divorce, baptism and death just to name some of the majors. These as my mother would say, “are all part of a different seasons.” There are good seasons and bad seasons, busy seasons and seasons that just last so long, eventful seasons and seasons of self reflection, needless to say… Todd Tyler has been there for many of my seasons. On April, 14 2018 Todd married me to the love of my life, Chloe Ruth. I’ve see Todd lead a Sunday school class, sing at church, sing at a funeral, sing at a wedding, I’ve see Todd lead a group of high school kids to dance and sing (no he’s not Whoopi Goldberg…), I’ve drank a beer with him, I drank coffee with him, I’ve drank communion with him and I’ve even shared a bottle of Champaign with him on a wedding dance floor. We’ve done it all. Nothing we’ve done together over the last 30 plus years was as special as having Todd marry me to my wife. For a lifetime of memories with Todd, that will be the one I hold nearest and dearest to my heart. I’m thankful for Todd’s friendship over so, so many season and I’m most thankful he was there for my happiest.